The time has come. You have to go out for your weekly grocery run to Trader Joes, and it begins. The anxiety, the panic; the sheer stress that a simple shopping trip to Trader Joes can illicit in someone. At least, that’s how I get. Who hasn’t seen that line and instantly felt their stress levels rise. A grocery visit to the mega chain may be necessary, but it can also be daunting without some easy Trader Joes Hacks in your arsenal. Long lines, obnoxious crowds, and other typical annoyances usually plague a shopping trip. But there are some simple ways to help combat the stress. Some you may already know, others, just a few extras to always try and keep in mind. The next time you head out to the grocery store, keep these trader joes hacks in mind for a successful, stress free visit. 1. Go deep. Head to the inside aisles of the store first to get what you need, then get online. You’ll prevent the headache of running all around the store like a maniac. 2. Work the perimeter while on line. Save the things you know to be at the perimeter of the store for when you’re waiting on line. Shop for what you need while you move through the line. You will save loads of time and be way more efficient. 3. Go early. The most simple of the all the trader joes hacks is this one. Always try to go early whenever possible. Anytime after 3 pm, no matter where the location is likely to be more nightmarish. So set your alarm, and hit the aisles early. Also always go at the start or beginning of the week if possible. There’s more stock of everything, and it tends to be busier on Sundays. 5. Make a list before you go. It always helps to know what you need, and helps prevent extra spending, and mindless aisle wandering. Never easy inside Trader Joes anyway. 6. Always bring our own shopping bag. 7. Take deep breaths. When that older lady is moving at a super slow snail pace in the cheese section, and the guy behind you bumps you with his cart, remember to keep breathing. 8. Check the sample kiosk. The sample kiosk always has a deal and highlight of the day, which is usually tasty too. Plus, they always give out free samples so satiate some hunger while you shop. 9. Don’t get on the express line. It’s a trap, and usually the non express goes faster. I absolutely love Trader Joes and wish we’d get one closer to home. I don’t think that they are stressful to shop at. I love the interesting items they have, and I love that you can just pull the entire cart to the register and the cashier unloads it. I love the heavy bags they use. But I do stock up and only get there once every few months since it’s so far from home. I love Traders Joes! Perfect list of hacks that work. I definitely am that girl that wakes up early to avoid the crowds and the chaos. Not because I love waking up early on a weekend when I can sleep in however if it means I can be in and out of TJ in 20 minutes it’s worth it! I always shop at the crack of dawn. I find that almost no one is in the store, whether it is trader Joe’s, Whole Foods or Giant. I love checking that off my list of things to do early in the morning! Best tip on your post! This post is an ultimate guidelines for making shopping more effective and controlling extra expense while shopping unwanted things.. These are some really good tips. I can’t agree more with making a list. This makes everything so much easier. I also agree with taking your own shopping bag. Overall some really good tips. I usually shop online. But when I go for shopping offline, I take someone with me so that I can be sure I will only buy things which are essential. Those are some awesome hacks for a stress-free shopping. I think I need to adopt and to follow those tips. I will absolutely keep this in my mind. We don’t have trader joes in Australia but an American colleague used to bring in these chocolate mint bisquits which I still dream about! They were so good!!! love all their little specialty foods. those sound delish! Those are some awesome tips to avoid stress while shopping. I totally agree with your points. I always make my own list before I go shopping to make sure that I have nothing to forget. and I carry my own shopping bag. I shall keep all this tips in my mind. These are some really great tips and tricks for when you go to Trader Joe’s. There is a lot of different stuff to get there. I sometimes get overwhelmed by all the different products! But it is one of my favorite stores to shop at! Thank you for sharing! 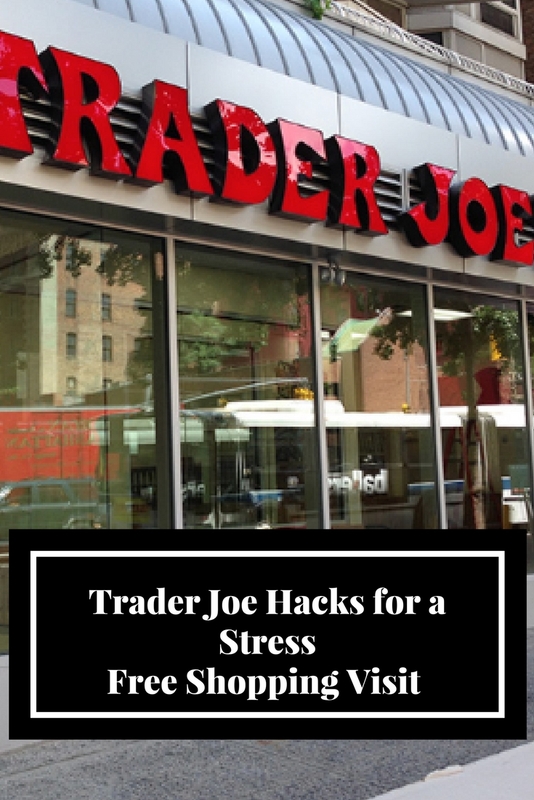 I don’t have a Trader Joe near my area but these sound like amazing tips for stress-free shopping! I shop at Publix for groceries! Haha i think that is a given for any kind of famous store! I always end up running like a maniac around such stores! These are some great tips. Shopping during the holidays is very stressful but these tips sound like they will make it a bit less stressful. I don’t think there is a Trader Joe in the UK but these are some really useful tips!